“Visit the sick”…Our first outreach project, we began in 2005 delivering a dozen gift baskets to oncology patients receiving treatment during Christmas. The baskets included a mug and green tea, peppermint sticks, a lap blanket, a set of prayer cards and a journal. Over the years our helping and visiting the sick has taken us in new directions, including trips to Guatemala as part of the HELPS project to bring medical care to rural village families, along with bringing prayer cards, rosaries, toys and blankets for the children. Our “hope and healing prayer cards” continue to be distributed to hospital, hospice and nursing home patients. We also design prayer cards for every religion for “Chaplain Partnership”. The cards are distributed by the Chaplains of the Cleveland Clinic hospitals to patients and their families. 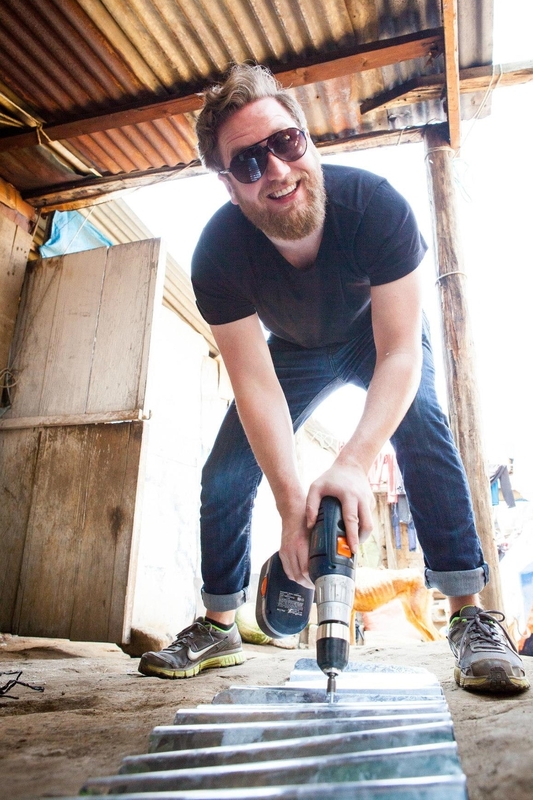 Travis Classen building stove ovens for underprivileged citizens in Guatemala. Debra Classen helping patients fill out forms before they go into the hospital. One of the cards done for the Chaplains at the Cleveland Clinic. Cards are given to patients in 13 regional hospitals.